Planning your next Peak District camping holiday? 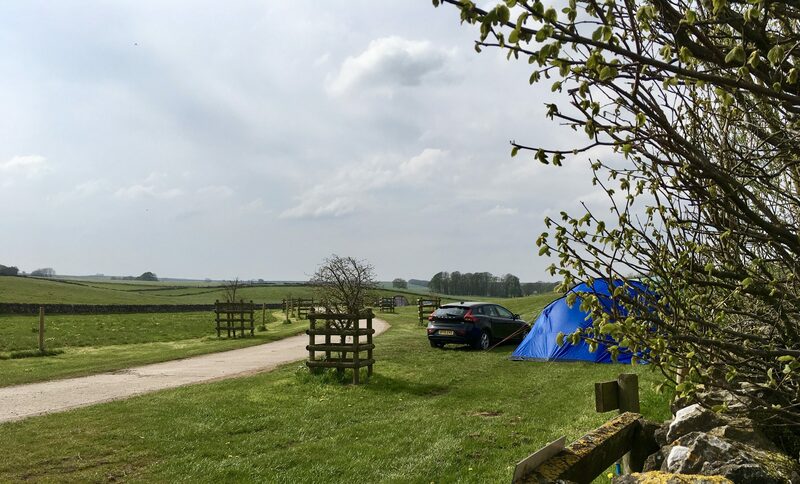 Knotlow Farm is a welcoming family-run campsite, set in the tranquil, picturesque landscape of the Peak District National Park, halfway between Bakewell and Buxton. 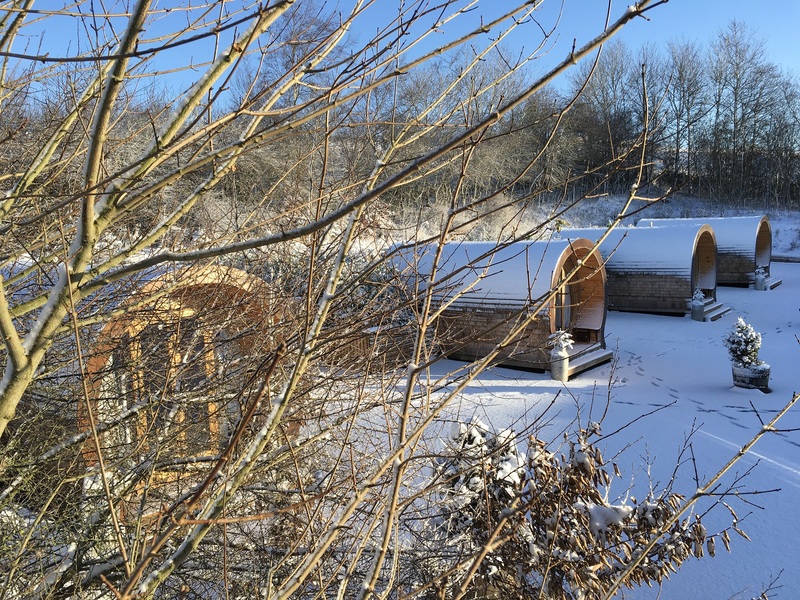 We cater for everyone, from couples to families, and you can bring a tent or a caravan and pitch up in one of our spacious camping fields, try posh camping for couples in one of our beautiful spruce-built camping pods (each complete with its own hot tub) or book a traditional Mongolian yurt experience. 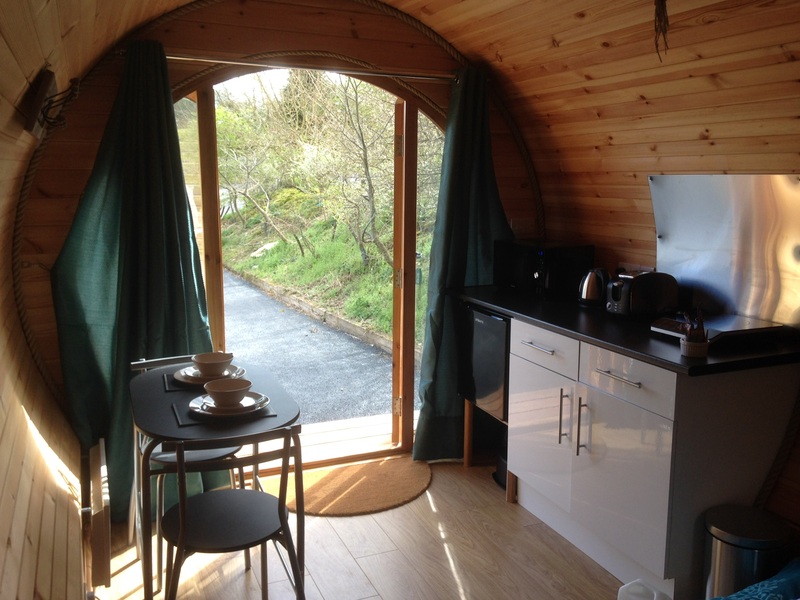 Knotlow Farm caravan and campsite is located just outside the hamlet of Flagg, in the heart of the White Peak, and is owned and managed by John and Margaret Hollinrake and their son and daughter-in-law. 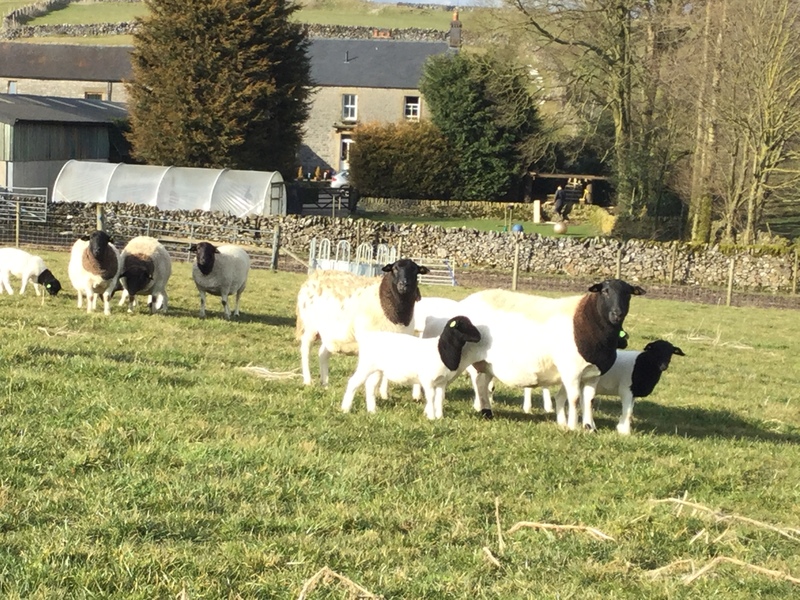 It is part of a traditional Peak District farmyard setting, and you can catch a glimpse of our Aberdeen Angus cattle and pedigree Dorper sheep and lambs grazing in the further fields in summer. Camping holiday heaven. Every Peak District camping holiday should include a visit to one of the jewels in rural Derbyshire’s crown, Chatsworth House, which is just 10 minutes’ drive away, Chesterfield, with its fantastically twisted church spire, or Buxton and Bakewell, our most local towns. The popular, scenic town of Bakewell is just seven miles over the green, rolling hills, and the stately Victorian spa town of Buxton seven miles in the opposite direction along the nearby A515. Bakewell has a busy agricultural scene on Mondays, with a big market in the town centre. Buxton is rather like a miniature Bath, dominated by the splendid architecture of the Palace Hotel, Devonshire Dome, Opera House, and the Crescent, which has had a complete refurbishment and is due to open to the public again in 2019. You cannot see or hear the main road from the campsite, however, and there is little here to disturb your tranquility save the peaceful sound of the animals on our farm. The Limestone Way runs through part of our farm, enabling walking enthusiasts to enjoy fresh air and breathtaking scenery without the need for even a short drive. All of this makes us the ideal setting for your Peak District camping holiday – we are close to local towns and amenities yet still right on the doorstep of Chatsworth House and the best walking trails in the area. What are the facilities on site? 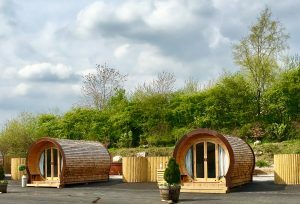 Glamping in the Peak District with your very own private hot tub! Our pods sleep two and come fully equipped. Book your holiday at Knotlow Farm HERE!